According to the rules of the contest, the style of the potential interior was determined as “reserved modern classics”, which implied no “sterile” interior solutions as well as the absence of too expressive classical ornamental elements. The color scheme had to be pretty quiet, naturalistic and mostly light, while finishing materials could be picked only from the middle-price segment. 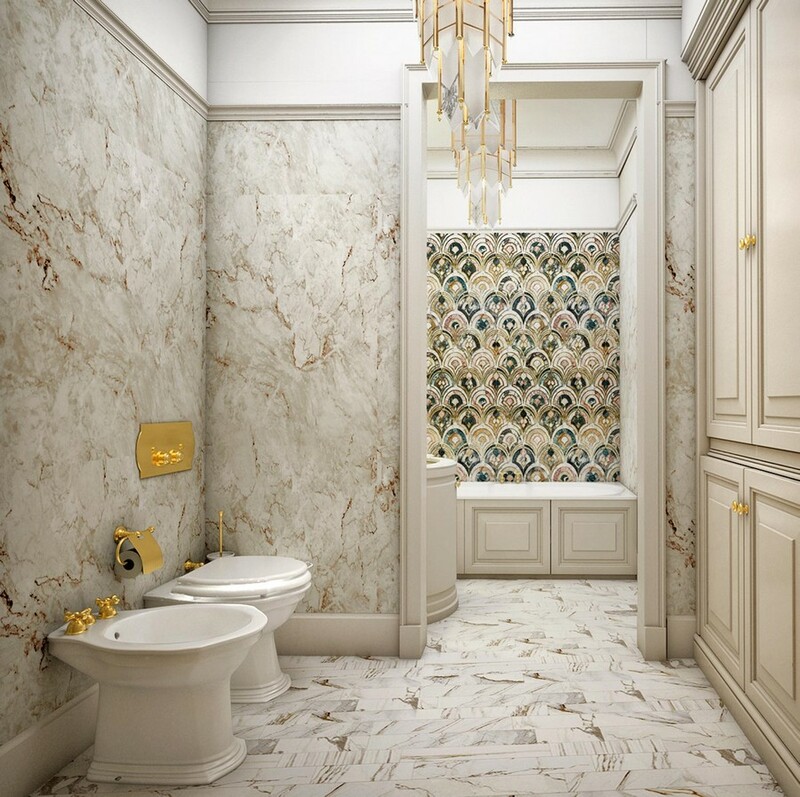 The author of this project decided to focus on contemporary furniture in American style and painted beige walls connecting all the rooms and coupled with classical décor: door jambs, cornices, baseboards and doors. As a tribute to classics, the layout of the living room is dictated by the rules of symmetry. One more reason to put the sofa in the middle of the room was for the sake of watching TV from the kitchen zone. On the whole, the interior has clear links between contemporary and classical styles: a contemporary sofa, rug and coffee tables are found next to classical moldings on doors, cornices, ceiling and even cupboards. Such approach to classics is quite non-standard and fresh. Both the kitchen and living room have separate entrances from the hallway and corridor and common sliding doors between that can easily isolate the lounge zone from kitchen smells. Given that the three walls of the kitchen feature doorways, it was determined to use glass inserts in all the doors to enhance natural insolation, the sense of airiness and visual connection between the communicating rooms. Sufficient width of the prep area allowed for putting a big oval dining table along with matching chairs with tall backrests. In the master bedroom you won’t find so much beige as in other rooms – here this color palette was replaced with a comprehensive sea-water hue creating very relaxing atmosphere. A mustard yellow upholstered bed is placed in the wall recess, which is framed with wall panelling that separates two different wallpaper patterns. A strong side of this interior project is a spacious bathroom. Thanks to a load-bearing column and a newly-built partition it’s clearly divided into two functional zones. With classics in mind, this doorway is also framed with ornamental wooden door jambs. The walls are faced with large-scale faux marble tiles. And the role of an eye-catchy accent is given to handmade wall tiles with modern pattern in the bathtub zone and a few brass accessories.